Samsung announced latest phone in the Note series. The note series comes with a stylus names S pen. 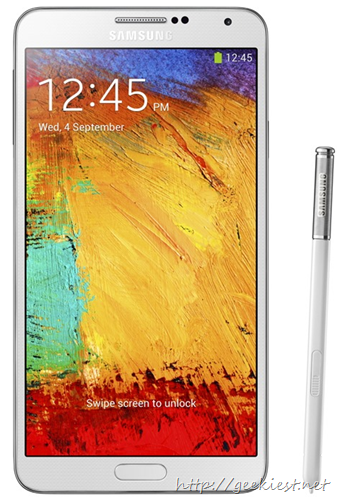 The note 3 comes with a 5.7 inch Full HD Super AMOLED screen with a resolution 1920x1080. The phone will be having a 3Gb RAM and Android 4.3 out of the box. Processor - LTE 2.3 GHz Quad-Core Processor , 3G 1.9 GHz Octa Core Processor ( A15 1.9 GHz + A7 1.3 GHz). (The selection of AP will be differed by markets. ).